Copyright 2019 The Security State Bank. Welcome to The Security State Bank. We are a full service bank insured by the FDIC. We offer a complete line of loan & deposit products with Debit Cards, Credit Cards & two cash dispensing ATM cash terminals. We also house the J.L. Arend Insurance Agency. 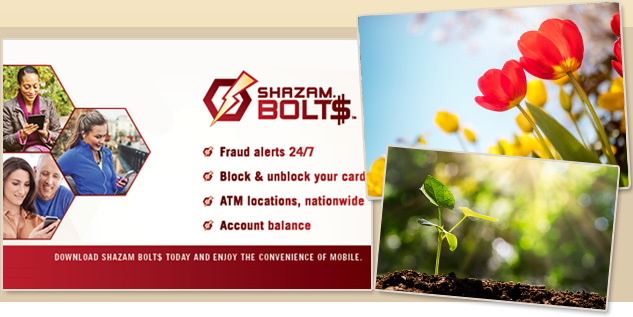 Shazam's Free Debit Card fraud transaction alerting & balancing monitoring app, Shazam Bolt$ is available for both iPhone & Android devices. Cardholders can easily download the app for free from the Apple App Store or Google Play.